Here is an Amended Order from Chief Judge Rosenthal regarding the federal courts in Houston, Galveston, and Victoria. 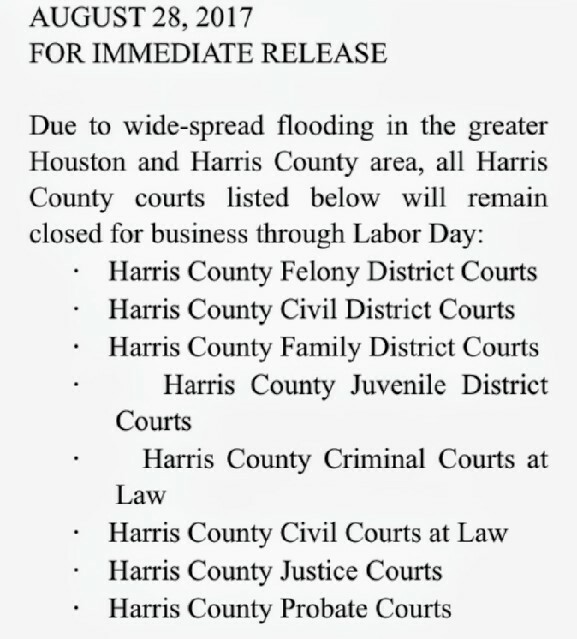 URGENT: All Harris County Courts are closed till after Labor Day. This includes all civil, family, and criminal courts. 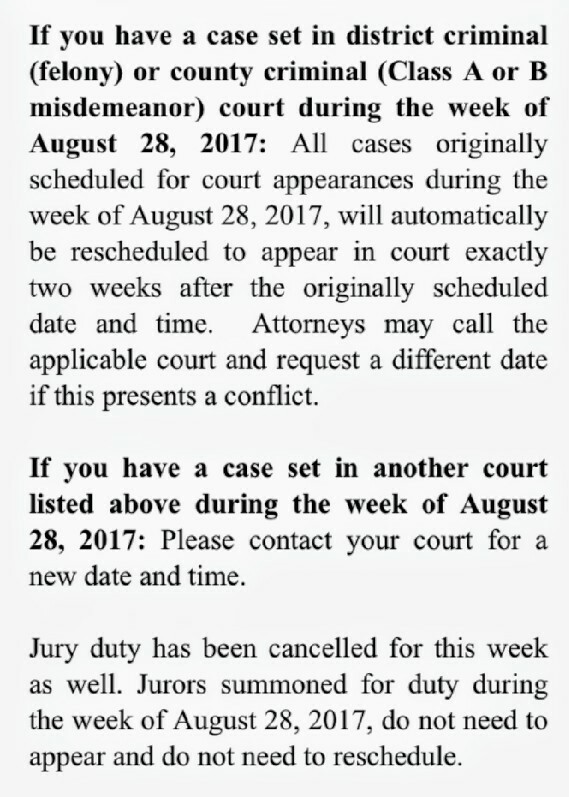 All cases on docket this week will be reset by the court.